The alleged dumping of meat pieces in the open by the staff of a hotel here triggered rumours of beef cooking in the city following which the police arrested the hotel manager and another employee. No beef was found in the hotel which was sealed by the Jaipur Municipal Corporation (JMC) as the owner had no licence to operate. 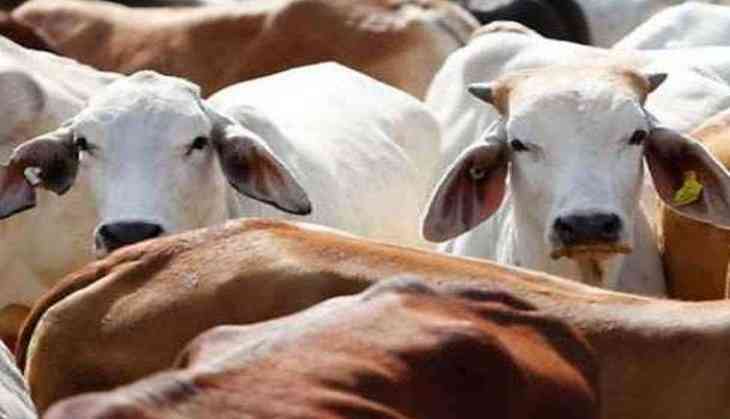 The incident occurred late on Sunday night when members of a group, Gau Raksha Dal led by Sadhvi Kamal raised objection over the alleged dumping of meat pieces. The hotel employees denied that they had thrown any meat pieces which triggered protest by the members, police said today. Police said there were rumours of beef cooking but no beef was found in the hotel. Senior Health Officer of the JMC Rajendra Garg said that the hotel was sealed as the hotel owner had no licence to run the hotel and restaurant. The members of the Dal alleged that the hotel staffers were throwing meat in the open and cows were getting sick after consuming the remains. 'The hotel manager Wasim and a cleaner Kasim were arrested under section 151 of CrPC (Arrest to prevent commission of cognisable offences) and were released by a court yesterday,' the police said. A separate FIR under section 295 A (deliberate and malicious acts, intended to outrage religious feelings of any class by insulting its religion or religious beliefs) was also registered but no arrest in the case has been made so far. The police action has been criticised by activists of the People's Union for Civil Liberties (PUCL). 'The entire action of the arrest of the two employees, registering the FIR and sealing the hotel which was running well only reflects the one-sided Hindutva agenda of the state government,' PUCL General Secretary Kavita Srivastava said. Netaji papers revealed: Was Subhas Chandra Bose a British spy?